At the time, I thought Mark and John were being just a little harsh. It’s true that the shouters, tweeters, tabloids, bloggers and talk show hosts can get a little carried away. And certain stories – missing children, celebrity cursing, celebrity weddings, celebrity divorces and any kind of car chase – can occupy more of the nation’s psyche than they deserve to. But freak show? With the passing of time, however, I am beginning to see their point. I was on vacation last week – way more than arms’ length away from the Shirley Sherrod controversy – and therefore more equipped than I usually am to watch the freak show take over. Seems we’ve been here before (see: Clinton race commission, Obama’s Philadelphia race speech, the White House beer summit). This latest flare-up occupied us until Monday, when an online provocateur known as WikiLeaks dumped 90,000 Afghan war documents online and onto the pages of three mainstream newspapers. It took a few days before we began to notice we’d seen a lot of these headlines before, and that many of them seemed a bit dated. Both of these stories were worth covering. But taking a deep breath would not have hurt the coverage. Sometimes even worthy news events can migrate to freak showiness. On Wednesday, a federal judge in Arizona struck down key parts of a tough state law designed to detain and expel people in the country illegally. It took less than 24 hours for the discussion to turn from the political and legal implications of the judge’s decision (and Arizona’s subsequent appeal) to aerial video of protesters being arrested in Phoenix. What were they protesting? Hardly mattered. The pictures were that good. At roughly the same time, Ms. Sherrod was discussing her litigious intentions with the National Association of Black Journalists in San Diego, President Obama was on the opposite coast, here in Washington, bemoaning the depths to which we have sunk. Yes, by all means. Let’s have another national conversation. But only after we take a deep breath first. For a change. Gwen’s Take is cross-posted from the Washington Week website. 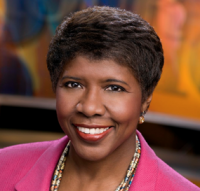 Follow Gwen Ifill on Twitter.